> Starting with the Klingons. > 1. Their Klingon sounds HORRIBLE. Just use it here and there then use the universal translator. My god it hurts my ears. > It sounds exactly as it always has done. There's only two differences. Firstly there's far more of it and not occasional phrases, secondally all of the actors are wearing prosthetic teeth (only the Klingons from late TNG and onwards had those, the film versions did not) and the DSC actors are also wearing cheek prosthetics. > 3. Ships. You're trying to tell me those...things....are set in between Ent and TOS? Yeah no. > No. Those ships are set between the Kelvin era and TOS. With their interesting shapes they follow right on from the ENT and Kelvin era ships and their blocky nacelles and overall shape they follow right into the TMP era ships. > If you want to get picky about how much they don't match the TOS ships, name me a canon TOS Starship Class that isn't the Constitution that we can compare them to please. > if those Klingons were an offshoot of the mutagenic virus that swept the Empire during Ent and left for the fringes of the empire to be alone and find their own way and now are back to fix the spineless pah'taq and lead the empire back to glory. Not a cheap shot at conservatism that has been sweeping the western world lately as a backlash to progressivism. > T'Kuvma is a religious fanatic and Kol is a generic (if fun) warmonger. The inter Klingon conflict is between rival houses and T'Kuvma, and later L'rell's, efforts to unite them in a theocracy. So despite writers assertions for advertising purposes there is no shots at conservatism, cheap or otherwise. Religious conservatism excluded. And Conservatism is the opposite to liberalism not whatever the hell 'progressivism' is and exists in any culture and is not a recent backlash at all. > 3. Technology. Specifically the spore drive and holographic communications. The former, because that tech simply does not fit. WAY too advanced for the day. This is something I'd expect to find in STO years after the Dominion war. Not 10 years before STO. And holographic coms? Ummm NO. That was JUST beginning to be toyed with in DS9 around 2371. Not 2254. Just NO. > The former does fit. you know why? Because it's space magic. You know what else is space magic? Transporters. Replicators. Warp Drive. Have you seen Star Trek before? And DS9 never said the holo-communication was new. Just NO. > 5. Burnham. I abhor her character. All of it. Supplanting Spock as a HUMAN in the eyes of Sarek? Umm who wrote that mess? Mutiny? Wanting to shoot the Klingons without provocation flying in the face of Logic? Just a never ending message of badly written female empowerment of saying "hey you can break every rule in the book. But still be the hero." Make Burnham a male, yeah he'd if gone to prison and never seen the light of day. > She's not written as 'female empowerment' at all. Though I can see from your post why you'd say that. She's operating on the principles of 'protagonist exemption' which applies to all main characters. Or was Archer ever arrested for genocide? > Ship design. Felt like a retooled JJ verse show. Sizing was upscaled for no reason while trying to be prime timeline. Had this been it's own separate line, most of my issues disappear. Except for Burnham. > Show me the canon size of the TOS Conni. > Done. However the owners of the franchise chose to scale their own fictional material is by definition correct. > B. Replace spore drive with Transwarp. Now before we slip a gear. Excelsior was not stated in the movie to be the first ship ever to have it. Could of been the first ship to see if the tech could be used and massed produced while Discovery could be the first ship to actually be proof of concept. But at the time the federation didn't have the resources to mass produce the tech needed to fully outfit the fleet. And the holo communications, DITCH THEM. Use a damn screen like everyone else!!! > Sure. Because transwarp is hard science whereas Spore Drive is fictional. And it's still 'could have'. > 10. Aesthetics. Hey I get that if Gene had the tech of today, TOS would look WAY different. But stop going overboard and stop creeping ideas over from JJ verse. I get a lot of the production crew worked on those movies, but pull your heads out of your 6 if you want to be in the prime timeline for God's sake! > They can draw inspiration from where they want. And their aesthetics flow perfectly from ENT to the Franklin to the Kelvin to DSC to TMP and the TOS films. It's only TOS that sticks out so retcon that show. > 6. Lorca. Too bad though he didn't get long enough screen time. > The sexist space fascist didn't bother you? Okay. > 7. **** on screen relationship in a show. Didn't feel forced and felt organic to the show. > Wow. You do surprise me. > 8. Holly wasn't bad but at times a bit too comical. > 9. Re imagined Enterprise looked good. Almost like the second flight Enterprise the producers had in mind until they went with the TMP refit style. Someone said it best, JJ should of used a design like that in his movies. > All four (DSC, TMP, KT, and KT-A) are vastly superior to the TOS version. > TRIBBLE is a major victim of the times we live in. > No. THe times we live in have seen large numbers of victims of STDs. However you're on about the show which is acronymed DSC. In addition the three films starting from 2009 are acronymed KT (for Kelvin Timeline). 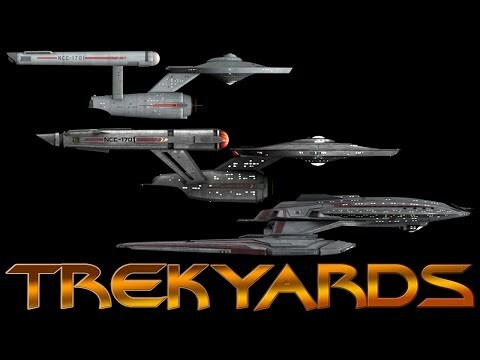 You know to be nice and consistent with your use of STO and Roddenberrytrek you've used instead of TOS. Grow up. > Just my thoughts and views. Take them as you will. And considering where they get the models I'd call it accurate. But as far as the rest goes let me try and tackle them. 1. Space magic. That's literally what you have for canon incontinuty? Really? You can do better than that. 2. Far as the Klingons and sounding badly. If it ain't broke, DON'T FIX IT! 3.Once again defending lazy a d poor writing. Infact much of your responses do just that. Take a very lazy defense of terrible writing. 4. Retcon what started it all? Wow...just wow. Kill the past eh? Basically everything you wrote boils down to "change it becauae its old and dated, out with the old in with the new". Sometimes that works. In world that's already this established, major retcons tend to just make a mess of things. Just ask Lucas Films how things are going on that front. And furthermore, everything you just said, all you have to do is take TRIBBLE/DSC whatever you wish to call it(and by the by, Brian Fuller originally called it TRIBBLE btw) all they had to do was say "another reboot like the KT, it's own separate universe" and most of this dies instantly. And no, this does not flow from show to show, regardless of how ya slice it. Considering how much temporal manipulation there was in Enterprise, it makes more sense to call Discovery a sequel of Enterprise instead of a prequel of TOS. Some events in TOS, TNG, DS9, and Voyager would stay the same, but others will be replaced by new events. Every time that that someone goes back in time, ripples will be created that alter the present. Some ripples are extremely minor and cause no noticeable change to the timeline while other ripples can create enormous changes to the timeline. The Xindi attack didn't happen in the original timeline and millions of people were killed as a result while yelling at some 20th Century taxi driver will just give the taxi driver a story about encountering weirdly dressed people. The Xindi attack or one of the other numerous temporal manipulations in Enterprise could be the reason why we have the Spore Drive and holographic communicators in the 23rd Century while no mention of them in TOS and TNG. So Discovery could just be in a different timeline not a parallel universe. > And furthermore, everything you just said, all you have to do is take TRIBBLE/DSC whatever you wish to call it(and by the by, Brian Fuller originally called it TRIBBLE btw) all they had to do was say "another reboot like the KT, it's own separate universe" and most of this dies instantly. > Considering how much temporal manipulation there was in Enterprise, it makes more sense to call Discovery a sequel of Enterprise instead of a prequel of TOS. Some events in TOS, TNG, DS9, and Voyager would stay the same, but others will be replaced by new events. Every time that that someone goes back in time, ripples will be created that alter the present. Some ripples are extremely minor and cause no noticeable change to the timeline while other ripples can create enormous changes to the timeline. The Xindi attack didn't happen in the original timeline and millions of people were killed as a result while yelling at some 20th Century taxi driver will just give the taxi driver a story about encountering weirdly dressed people. The Xindi attack or one of the other numerous temporal manipulations in Enterprise could be the reason why we have the Spore Drive and holographic communicators in the 23rd Century while no mention of them in TOS and TNG. So Discovery could just be in a different timeline not a parallel universe. A different timeline IS a parallel universe. Except the fact in that episode both Sisko and the Captain of the Malenche BOTH say its NEW tech. As in never seen before. I love how people conviently omit that. New as in finalised, the same way the holodeck and replicators are “new” in TNG despite having early prototype version in TOS and TAS. that or new as in something they hadn't used before. A different timeline IS NOT a parallel universe. Parallel universes are universes that have existed for billions of years and parallel to the main universe while different or alternate timelines are timelines caused by some temporal manipulation that causes the original timeline to be erased. So the Mirror Universe and every universe shown in the Parallels episode are examples of parallel universes while the universe shown in The City on the Edge of Forever and First Contact before the crew of the Enterprise went back in time to restore the timeline are examples of alternate timelines. "we can change that, you need to accept that..., don't watch it if you don't like it...." but as soon as someone calls it TRIBBLE, they're all like "HEY, HEY, THAT IS NOT THE OFFICIAL ACRONYM WE USE AROUND HERE"
> A different timeline IS a parallel universe. > A different timeline IS NOT a parallel universe. Parallel universes are universes that have existed for billions of years and parallel to the main universe while different or alternate timelines are timelines caused by some temporal manipulation that causes the original timeline to be erased. So the Mirror Universe and every universe shown in the Parallels episode are examples of parallel universes while the universe shown in The City on the Edge of Forever and First Contact before the crew of the Enterprise went back in time to restore the timeline are examples of alternate timelines. Everything you just said is completely wrong. Least from my PoV. Doesn't matter if a universe exists for 10 seconds or 10 million years. If it runs different from now, it's a parallel universe. Or have you not heard of multiple earth theory? In a parallel universe I could never of joined the US Marines and 9/11 never happened(not saying me joining the USMC had anything to do with 9/11). Or I could of become rhe 0311 I was slotted to become instead of the 2621 I did become and never met my wife. That was 17 years ago. According to you it's simply a different timeline. Nope, not just a timeline, but a whole new universe just opened up. Or have you never watched the TNG episode Parallel? Those are not all timelines. Those are all different universes Worf is going to till he got back to his. Yes, because only one side of this argument was being passive-aggressive. This is why I rarely rarely respond to DSC-related threads: no one on the Internet can seem to express an opinion or make an argument without resorting to personal attacks, strawmans, no-true-Scotsmans, or just plain passive-aggressivism. When I was a child, I was taught that if a person refuses to be convinced by your argument, it is best to 'agree to disagree'. That is why I don't argue over DSC, or Kelvin Timeline. Yet I keep seeing these threads where the same people keep rehashing the same arguments over and over, with the same non-existent result. Worse? I can almost guarantee I'm the youngest person in this thread right now (early-twenties). My advice to everyone? Step away from the keyboard, reread what you've been arguing, realise you're not convincing each other in the least, and just stop. There's a reason this fanbase has a bad rap among the general population, and this is it. There might be some confusion since we are agreeing with each other on most things for your previous post and my previous post. When did I say any of those are simply a different timeline? Different timelines requires time travel changing the past to create a new present. A different timeline can't be a parallel universe since it is the same universe, but the past has been changed. The Many Worlds Interpretation of Quantum Mechanics requires an extremely large or infinite number of universes where every possible event has occurred in a parallel universe. So a few parallel universes have 9/11 never happening or a parallel version of yourself joining the Seals instead of the Marines. Personally, I despise new universes being constantly created by our choices or through time travel. So here is what I believe about time travel and parallel universes. 1. An infinite number of parallel universes were created at the Big Bang with no new universes being created since. 2. Some parallel universes are set in different times. So a few universes could be 1918 right now and a few others could be 2118 right now. This creates the illusion of time travel without actually having time travel. 3. Changing the past, permanently changes the present. The timeline is replaced by a new timeline with the original timeline permanently erased. All the heroes restoring the timeline can get is a timeline that is 99.99% identical to the original timeline where they hopefully can't recognize the differences. 4. Setting up a temporal loop like the Terminator movies requires an original timeline that is erased with the creation of the temporal loop. So tourist from the future leaves their iPhone 30 in the 1980s resulting in their timeline being erased and Skynet being created. > > A different timeline IS a parallel universe. > > A different timeline IS NOT a parallel universe. Parallel universes are universes that have existed for billions of years and parallel to the main universe while different or alternate timelines are timelines caused by some temporal manipulation that causes the original timeline to be erased. So the Mirror Universe and every universe shown in the Parallels episode are examples of parallel universes while the universe shown in The City on the Edge of Forever and First Contact before the crew of the Enterprise went back in time to restore the timeline are examples of alternate timelines. > Everything you just said is completely wrong. Least from my PoV. Doesn't matter if a universe exists for 10 seconds or 10 million years. If it runs different from now, it's a parallel universe. > Or have you not heard of multiple earth theory? > In a parallel universe I could never of joined the US Marines and 9/11 never happened(not saying me joining the USMC had anything to do with 9/11). Or I could of become rhe 0311 I was slotted to become instead of the 2621 I did become and never met my wife. > That was 17 years ago. According to you it's simply a different timeline. Nope, not just a timeline, but a whole new universe just opened up. 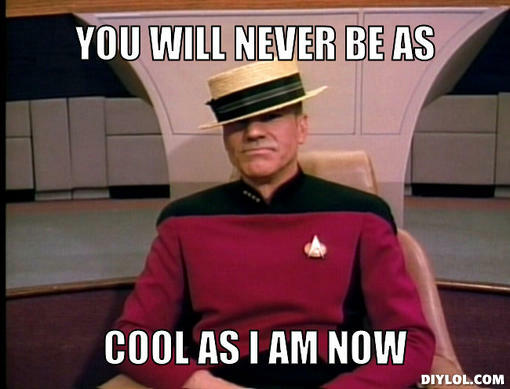 > Or have you never watched the TNG episode Parallel? > Those are not all timelines. Those are all different universes Worf is going to till he got back to his. > There might be some confusion since we are agreeing with each other on most things for your previous post and my previous post. When did I say any of those are simply a different timeline? Different timelines requires time travel changing the past to create a new present. A different timeline can't be a parallel universe since it is the same universe, but the past has been changed. > The Many Worlds Interpretation of Quantum Mechanics requires an extremely large or infinite number of universes where every possible event has occurred in a parallel universe. So a few parallel universes have 9/11 never happening or a parallel version of yourself joining the Seals instead of the Marines. > Personally, I despise new universes being constantly created by our choices or through time travel. So here is what I believe about time travel and parallel universes. > 1. An infinite number of parallel universes were created at the Big Bang with no new universes being created since. > 2. Some parallel universes are set in different times. So a few universes could be 1918 right now and a few others could be 2118 right now. This creates the illusion of time travel without actually having time travel. > 3. Changing the past, permanently changes the present. The timeline is replaced by a new timeline with the original timeline permanently erased. All the heroes restoring the timeline can get is a timeline that is 99.99% identical to the original timeline where they hopefully can't recognize the differences. > 4. Setting up a temporal loop like the Terminator movies requires an original timeline that is erased with the creation of the temporal loop. So tourist from the future leaves their iPhone 30 in the 1980s resulting in their timeline being erased and Skynet being created. Aside from that while we all have our own preferred version of events for sure (I for example create a new timeline following First Contact that spawned the followimg prequels while the Enterprise E returned to it's original timeline), the official canonical reasoning is that the KT is not a 'universe' but a timeline identical to prime but diverging with Nero's incursion and destruction of the Kelvin. And DSC is the prime timeline and tells us how TOS started, but with changed looks which are entirely out-of-universe though. 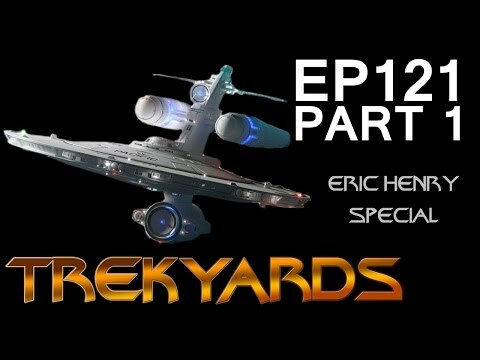 The producer of Pacific 201 did an interview with Trekyards a while back, where he said he interpreted the differing visual styles between shows as akin to historical dramas, etc. So rather than any one show demonstrating the 'true' Trek aesthetic, each shows an 'Artist's interpretation', and that's why there are differences in style between ENT and TOS (or in his case, 201 and the rest of the franchise). He explains it better, but I think it's a creative way of explaining the different styles (and is obviously somewhat based in truth). > The producer of Pacific 201 did an interview with Trekyards a while back, where he said he interpreted the differing visual styles between shows as akin to historical dramas, etc. So rather than any one show demonstrating the 'true' Trek aesthetic, each shows an 'Artist's interpretation', and that's why there are differences in style between ENT and TOS (or in his case, 201 and the rest of the franchise). He explains it better, but I think it's a creative way of explaining the different styles (and is obviously somewhat based in truth). Indeed however Pacific 201 did a VERY good job of stylistically looking like a precursor to TOS. DSC imho has failed to do so. I saw those interviews and those guys did amazing. > Aside from that while we all have our own preferred version of events for sure (I for example create a new timeline following First Contact that spawned the followimg prequels while the Enterprise E returned to it's original timeline), the official canonical reasoning is that the KT is not a 'universe' but a timeline identical to prime but diverging with Nero's incursion and destruction of the Kelvin. And DSC is the prime timeline and tells us how TOS started, but with changed looks which are entirely out-of-universe though. Exactly Targ. In fact it goes into the land of suspension of disbelief. DSC has completely broken that rule from my PoV. And lately sequels, prequels of this day in age are constantly breaking this rule. Yeah, they could have done a lot of things.... most of them bad. I'm sure that if they had used that aesthetic there'd be people raging about it on the forum. > Yeah, they could have done a lot of things.... most of them bad. I'm sure that if they had used that aesthetic there'd be people raging about it on the forum. Well I wouldn't be one of them. Like I said if they got the aesthetic right, 75-85% of my issues with the show evaporate. Especially on the Klingon side. Sorry those ships look TERRIBLE. JJs ships in the KT look better than those! Then it's just a few character issues. Burnham chief among them. 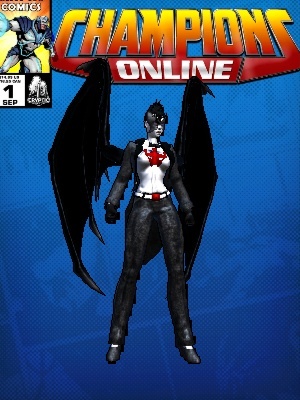 You can trust the DSC models as they got those from a game that got them from CBS. They make the other models themselves. That's what the younger one brings to the show. Explain the principles of warp drive or transporters using real science please. 3. Far as the Klingons and sounding badly. If it ain't broke, DON'T FIX IT! So we shouldn't have the aliens speaking alien? They should speak English around other aliens? Well I'm responding to very lazy criticism so I don't really need to put much effort into it do I. I mean look at which of my responses you've chosen to respond to. 6. Retcon what started it all? Wow...just wow. Kill the past eh? Yeah. Imagine if TOS dared to forget things it'd done in the past like killing of a recurring red shirt or powering the ship with Lithium. Imagine if it had ignored and then retconed its grinning, gold shirted, Vulconis first officer with a human ancestor? Sure it does if you have just made my responses up and not read the actual words. I mean, come on man. I break everything down point by point in easy to read quotes. It shouldn't be so hard for you to find something to respond to that you just make something up. I write a lot you don't need to make up more stuff. Perfectly fine. They've been purchased by the largest entertainment empire the world has seen who are using the franchise to print money. What's you point there? all they had to do was say "another reboot like the KT, it's own separate universe" and most of this dies instantly. The KT was not a reboot. It is a continuation. It picks up from Nemesis sending the old Ambassador Spock back in time and creating an alternate timeline as a consequence of his arrival. And I'm sure you've used the internet before. I'm sure you've seen this here forum prior to DSCs announcement. the KT did not solve any problems. There's certain forum members that have a minor mental breakdown when the subject is even brought up. Prove it. And perhaps if you want to continue this. Put some more effort into it. Incorrect. A parallel universe is a universe that exists in parallel. A alternate timeline is one that has a point of divergence. The Enterprise C emerging from the temporal rift created an alternate timeline, the Narada emerging from the red matter rift created an alternate timeline. No. They said it was new as in it'd never been installed on the Defiant or an Excelsior before. I directly addressed it but at least you're showing consistency in your lack of reading skills. However I'll do it again. The flickering holograms with washed out images in DSC are visually more primitive than the ones from DS9 and as they appear about four times overall in all of DS9 it's obvious they never have a wide usage so their use then vanishment is not a surprise. Unless you want to have a little moan about how DS9 brings up this magical technology only for the rest of DS9, all of VGR, and all of the TNG films to suddenly ignore it. Do you also remember the brand new holodecks Riker was amazed by in Encounter at Farpoint that existed in TAS? I've yet to see your rambling post decrying that. I maintain the same balance of sarcasm, criticism, and aggression (direct or passive) for any point raised. Everything you just said is completely wrong. No buddy, that's your wheelhouse. Least from my PoV. Doesn't matter if a universe exists for 10 seconds or 10 million years. If it runs different from now, it's a parallel universe. Who gives a flying sod about your PoV? The spun off events can either be called an alternate reality as named onscreen by Spock in 09 or an alternate timeline as determined by CBS when naming the Kelvin Timeline. Whether we take the canon answer or the official one either can be argued to be correct whereas you are consistently wrong. Yes, because only one side of this argument was being passive-aggressive. I dunno about their side. I know my side (i.e. me) is mostly just aggressive and occasionally sardonic. When I was a child, I was taught that if a person refuses to be convinced by your argument, it is best to 'agree to disagree'. That is why I don't argue over DSC, or Kelvin Timeline. Yet I keep seeing these threads where the same people keep rehashing the same arguments over and over, with the same non-existent result. I do it because it's fun. I have no hope of convincing people with rose glass splintered brains that they might want to step back and be objective so I don't bother. I have fun until I get board and walk away from the thread. Worst case scenario is they think they made a killer point that drove me away in disgrace. Best case is they get bored, leaving me with the glowing superiority of being the last fool alive in a sinking ship. Worse? I can almost guarantee I'm the youngest person in this thread right now (early-twenties). I don't know. Some people's spelling attempts make me think they're still at the chewing crayons stage. Nooope. Never mind @ryan218 I've changed my mind. @angrytarg has come round to seeing things my way. With one loyal convert (shutupIknowyousaidthisbeforenowIsaidshutupstopchewingmyleg) I intend to drag this on forever! They bridge the gap between STE and ST:TOS, whereas TRIBBLE's designs were like somebody dropped a modern day stealth cruiser of the US Navy into World War I. It's not that the TRIBBLE ships of the Federation look bad, they don't, they actually look really good, they just look out of place/too advanced for the time period they are supposed to be in. It is not hard to make the Ralph McQuarrie design look like it belongs in a pre-ST:TOS era. I did it, so I KNOW CBS could have. Bloody hellfire. It's bleeding ENT not STE and TOS not ST:TOS and, again, DSC not TRIBBLE. IT's really not difficult. What is it about consistency that's so difficult? What's with the colectomy you've given Enterprise and Discovery why does the original series escape it? But onto the point, what TOS ships? There's only one Starship seen in TOS and that's the Conni. The ships immediately after the ENT era are the USS Kelvin and (this is extrapolation not canon but as the Kelvin is decades older than the timeline split its sister ships likely are as well) and the Newton, Mayflower etc. The ones immediately following them are the DSC ships. What is this link people keep trying to find between the NX and the TOS Conni? > And considering where they get the models I'd call it accurate. > You can trust the DSC models as they got those from a game that got them from CBS. They make the other models themselves. That's what the younger one brings to the show. > 1. Space magic. That's literally what you have for canon incontinuty? Really? You can do better than that. > Explain the principles of warp drive or transporters using real science please. > 3. Far as the Klingons and sounding badly. If it ain't broke, DON'T FIX IT! > So we shouldn't have the aliens speaking alien? They should speak English around other aliens? > 3.Once again defending lazy a d poor writing. Infact much of your responses do just that. Take a very lazy defense of terrible writing. > Well I'm responding to very lazy criticism so I don't really need to put much effort into it do I. I mean look at which of my responses you've chosen to respond to. > 6. Retcon what started it all? Wow...just wow. Kill the past eh? > Yeah. Imagine if TOS dared to forget things it'd done in the past like killing of a recurring red shirt or powering the ship with Lithium. Imagine if it had ignored and then retconed its grinning, gold shirted, Vulconis first officer with a human ancestor? > Basically everything you wrote boils down to "change it becauae its old and dated, out with the old in with the new". > Sure it does if you have just made my responses up and not read the actual words. I mean, come on man. I break everything down point by point in easy to read quotes. It shouldn't be so hard for you to find something to respond to that you just make something up. I write a lot you don't need to make up more stuff. > Sometimes that works. In world that's already this established, major retcons tend to just make a mess of things. Just ask Lucas Films how things are going on that front. > Perfectly fine. They've been purchased by the largest entertainment empire the world has seen who are using the franchise to print money. What's you point there? > all they had to do was say "another reboot like the KT, it's own separate universe" and most of this dies instantly. > The KT was not a reboot. It is a continuation. It picks up from Nemesis sending the old Ambassador Spock back in time and creating an alternate timeline as a consequence of his arrival. And I'm sure you've used the internet before. I'm sure you've seen this here forum prior to DSCs announcement. the KT did not solve any problems. There's certain forum members that have a minor mental breakdown when the subject is even brought up. > And no, this does not flow from show to show, regardless of how ya slice it. > Prove it. And perhaps if you want to continue this. Put some more effort into it. > Incorrect. A parallel universe is a universe that exists in parallel. A alternate timeline is one that has a point of divergence. > The Enterprise C emerging from the temporal rift created an alternate timeline, the Narada emerging from the red matter rift created an alternate timeline. > Except the fact in that episode both Sisko and the Captain of the Malenche BOTH say its NEW tech. As in never seen before. > No. They said it was new as in it'd never been installed on the Defiant or an Excelsior before. > I love how people conviently omit that. > I directly addressed it but at least you're showing consistency in your lack of reading skills. However I'll do it again. > The flickering holograms with washed out images in DSC are visually more primitive than the ones from DS9 and as they appear about four times overall in all of DS9 it's obvious they never have a wide usage so their use then vanishment is not a surprise. Unless you want to have a little moan about how DS9 brings up this magical technology only for the rest of DS9, all of VGR, and all of the TNG films to suddenly ignore it. > Do you also remember the brand new holodecks Riker was amazed by in Encounter at Farpoint that existed in TAS? I've yet to see your rambling post decrying that. > "we can change that, you need to accept that..., don't watch it if you don't like it...." but as soon as someone calls it TRIBBLE, they're all like "HEY, HEY, THAT IS NOT THE OFFICIAL ACRONYM WE USE AROUND HERE"
> I maintain the same balance of sarcasm, criticism, and aggression (direct or passive) for any point raised. > Everything you just said is completely wrong. > No buddy, that's your wheelhouse. > Least from my PoV. Doesn't matter if a universe exists for 10 seconds or 10 million years. If it runs different from now, it's a parallel universe. > Who gives a flying sod about your PoV? The spun off events can either be called an alternate reality as named onscreen by Spock in 09 or an alternate timeline as determined by CBS when naming the Kelvin Timeline. Whether we take the canon answer or the official one either can be argued to be correct whereas you are consistently wrong. > Yes, because only one side of this argument was being passive-aggressive. > I dunno about their side. I know my side (i.e. me) is mostly just aggressive and occasionally sardonic. > When I was a child, I was taught that if a person refuses to be convinced by your argument, it is best to 'agree to disagree'. That is why I don't argue over DSC, or Kelvin Timeline. Yet I keep seeing these threads where the same people keep rehashing the same arguments over and over, with the same non-existent result. > I do it because it's fun. I have no hope of convincing people with rose glass splintered brains that they might want to step back and be objective so I don't bother. I have fun until I get board and walk away from the thread. Worst case scenario is they think they made a killer point that drove me away in disgrace. Best case is they get bored, leaving me with the glowing superiority of being the last fool alive in a sinking ship. > Worse? I can almost guarantee I'm the youngest person in this thread right now (early-twenties). > I don't know. Some people's spelling attempts make me think they're still at the chewing crayons stage. > My advice to everyone? Step away from the keyboard, reread what you've been arguing, realise you're not convincing each other in the least, and just stop. There's a reason this fanbase has a bad rap among the general population, and this is it. > Nooope. Never mind @ryan218 I've changed my mind. @angrytarg has come round to seeing things my way. With one loyal convert (shutupIknowyousaidthisbeforenowIsaidshutupstopchewingmyleg) I intend to drag this on forever! > They bridge the gap between STE and ST:TOS, whereas TRIBBLE's designs were like somebody dropped a modern day stealth cruiser of the US Navy into World War I. > It's not that the TRIBBLE ships of the Federation look bad, they don't, they actually look really good, they just look out of place/too advanced for the time period they are supposed to be in. > It is not hard to make the Ralph McQuarrie design look like it belongs in a pre-ST:TOS era. > I did it, so I KNOW CBS could have. > Bloody hellfire. It's bleeding ENT not STE and TOS not ST:TOS and, again, DSC not TRIBBLE. IT's really not difficult. What is it about consistency that's so difficult? What's with the colectomy you've given Enterprise and Discovery why does the original series escape it? > But onto the point, what TOS ships? There's only one Starship seen in TOS and that's the Conni. The ships immediately after the ENT era are the USS Kelvin and (this is extrapolation not canon but as the Kelvin is decades older than the timeline split its sister ships likely are as well) and the Newton, Mayflower etc. The ones immediately following them are the DSC ships. What is this link people keep trying to find between the NX and the TOS Conni? Well just as you said my PoV is wrong, well from where I am sitting you're wrong. But you can keep trying. As it stands we're at an impasse. You've failed to change my mind at at this rate you never will. And more than likely I won't change yours. So let's do each other a favor and just agree do disagree. I hate DSC and that stands. Well I suppose it helps that I've read you PoV even if you don't return the favour. I accept you generous favour. Int this thread anyway. I've no intention of not calling rose splintered hypocrisy out anywhere else. Your life must be rather sad. I can't imagine hating any fiction. > Well just as you said my PoV is wrong, well from where I am sitting you're wrong. But you can keep trying. > Well I suppose it helps that I've read you PoV even if you don't return the favour. > I accept you generous favour. Int this thread anyway. I've no intention of not calling rose splintered hypocrisy out anywhere else. > I hate DSC and that stands. > Your life must be rather sad. I can't imagine hating any fiction. Funny part is I like the Excelsior. And yes I can hate works of fiction. Not like I lose any sleep over it. I simply hate the thing and then move along.